May | 2017 | Educate.Empower. 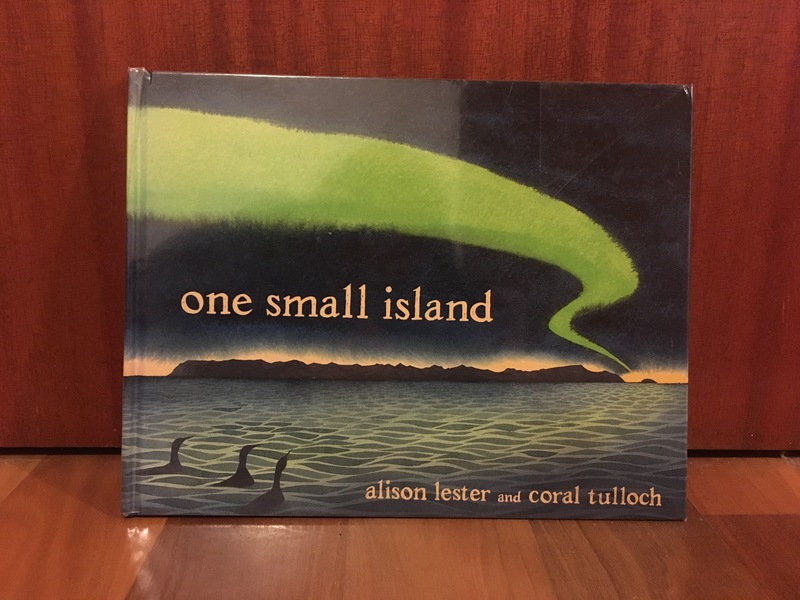 This beautifully written and illustrated story brings to life the history of Macquarie Island and how it came about to be a World Heritage site. Macquarie island lies in the Southern Ocean, between New Zealand and Australia. It is a safe place now for many animals and plant species but there was a time when it was ravaged by feral cats, rabbits and rats just to name a few. One small Island describes the hard work conservationists put into saving this island and the animals who live here from the brink of extinction. It makes the reader question how we allow our natural spaces to come to this. How do we allow feral animals to take over our precious habitats? Do we realise the damage they do and how irreversible it can be if nothing else happens? Coral Tulloch’s illustrations bring real scientific integrity to the story and the journal pages give the story more authenticity. 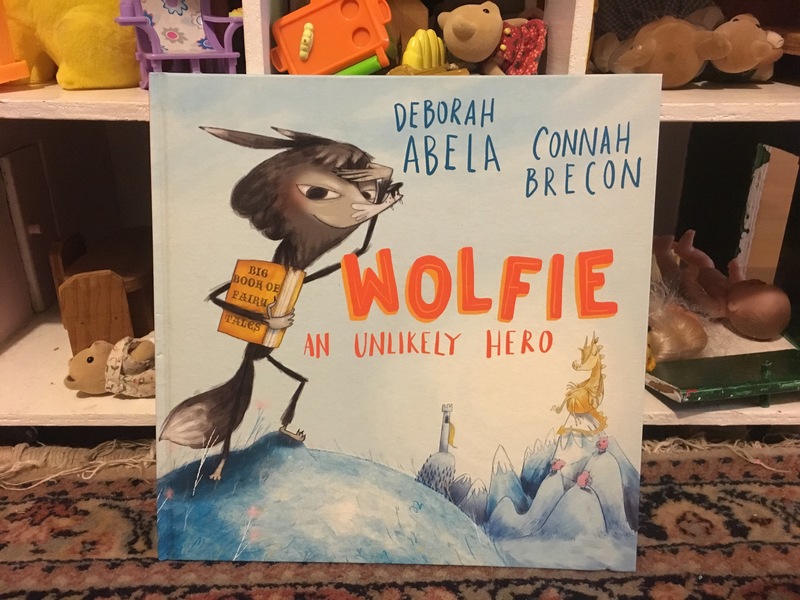 A story for all ages – and a must read if we are to take better care of those small places in our world that mean so much to someone or something – no matter how small. How can you link this? – How are feral animals deemed ‘feral’? – Are there any feral animals in your area or animals with the potential to become feral? – Do you think pets such as cats and rabbits should be allowed if there is a risk of them destroying wild life? – Where else in the world are heritage listed areas? – How does a place become listed as World Heritage? – Investigate the timeline presented at the back of this book. Can you add more since 2011? – What can we learn from this timeline to inform us of our future decisions? How to teach your child about the importance of water. As a city dweller I am sure you take water for granted. We barely need to think when we turn the taps on as water always flows out, fresh and clean. The people who have the best access are the people who need to take better care of it. We need to educate our children so they are aware of where water comes from, where it goes after we have used it and who needs it apart from us! Look at some different ocean and river animals. How do they live in and around the water? Get outside and see where the pipes go after the water goes down the drain. Look at the different products that you use to wash your hands, wash the clothes, wash your hair. Read the ingredients and see how these might negatively effect the waterways. Find out where your water comes from – where is the local water tower, dam or river? It is a human right to have access to water. Where in the world do people not have access to water? Spark your child’s natural wonder and help them to become globally conscious and people who want to look after the world they live in. The news of bombings fills me with dread of what those people must have felt, what those families who have lost must be feeling and even what the parents and friends of the bomber must be going through. It fills me with fear about the world that my children are growing up in and concern about how they might feel if they one day hear about or experience these things. As parents and teachers we can prepare our children for the world by displaying how to be more empathetic towards others through our actions. Think about how you talk about other people, news events and the world. As parents and teachers we can allow our children to experience what life might be like for other people so that they can be more empathetic. We can do this through conversations and picture books. If we help our children to understand how the world is different then perhaps we have a brighter future where everyone gets along as best as they can, treats everyone with respect and helps anyone in need. Try these books that link to refugees. It’s exactly what this town needs. I adore this book, Whatcha Building? 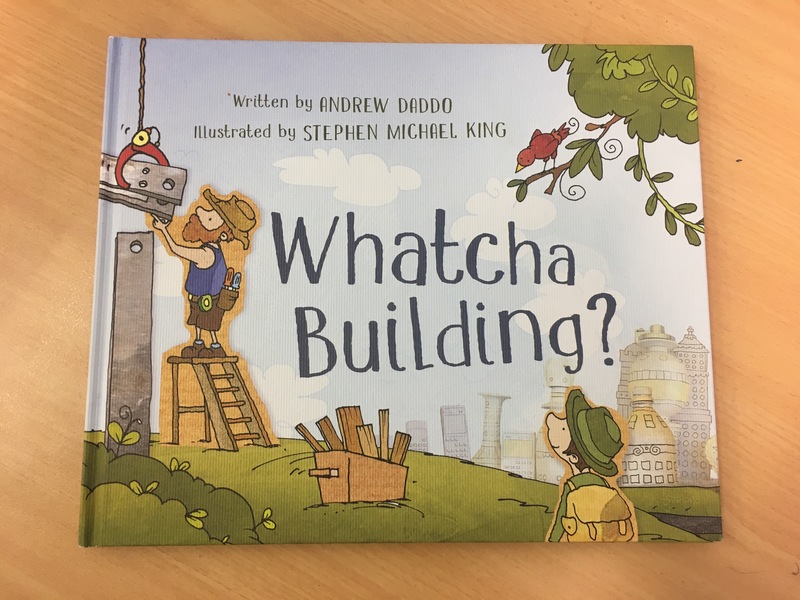 by Andrew Daddo and Stephen Michael King is a story about endings and new beginnings, imagination and determination and a sense of community. The old milk bar around the corner from young Davey’s house in being pulled down and a new building is replacing it. Davey observes the daily deconstruction of the milk bar and each day takes a piece of timber home. The builder and the reader’s imagination run wild with all the possibilities of what young Davey might be building. It’s only until right at the end the masterpiece is unveiled with a timely message for us all. I love the illustrations in this story as they not only accompany the text but they add more depth to each page. Stephen Michael King has used recycled garbage, cardboard, pen and ink to create the illustrations and this combination brings life to the story. Throughout the images we can get a real sense of the community at work and the role we all play in our environment. We all throw out too much and many of this can be reused or recycled. Investigate what you can do with things that are no use to you anymore. Rather than just throwing them out can you create something new? Give it to someone else? Or recycle it in the best possible way. Create your own doll sized house purely from recycled and reused materials. What sort of materials are best for the environment? Compare and contrast different types of floorboards available to the community – work out which ones are best using categories such as value for money, ecological impact and community impact. Watch building really makes us think about how important people and space is to each of us. Many of us get caught up in consumption and needing the best of everything. Is there a place in your community where people can come together? Design a space where people of all ages and backgrounds can come to share the love of where they live – without having to buy things. Look at the slang used throughout the story – what do each of these slang words mean? How does this portray Dave the builder? What is the significance of Davey not saying many things throughout the story? Do endings always have new beginnings? If all the buildings in your town were replaced how would that effect your community both negatively and positively? Select one architect who has changed the way we build sustainably. Find out how they approach design and how they want to improve life for all. Let me know how you go! It’s a beautiful book – I hope you can enjoy it too. Storytelling and learning how to read. Storytelling is the act of telling a story – any story. It can be through spoken word, through written word, through art and through acting. How does storytelling help us and your child with reading? By telling stories your child listens to new words being pronounced. Your child hears words in new and known contexts. When your child tells a story they are practising using new vocabulary. When we tell stories we are engaging in eye contact with the storyteller and the listeners. We are using body language and facial expressions to engage others or show our interest. We can see how others feel about the story and change where the story is heading if we see our original ending not working for the current audience. Storytelling promotes visualisation, inferencing and problem solving. It helps us to think on our feet and engage each audience we tell the story to in a different way. We all love stories and storytelling through close friends and family can tell tales of the past – rather than just relying on photos and videos. Most cultures passed on advice through storytelling and many still do – telling stories make those rules much easier to follow! It uses our imagination – both the storyteller and the listener. Children love being told stories. Some evenings make up a story together before going to bed rather than always only reading books. Borrow ideas from books you have read and make up your own! Your imagination can go wild being the listener or the storyteller and you can have so much fun doing both! Mrs White and the Red Desert by Josie Boyle. 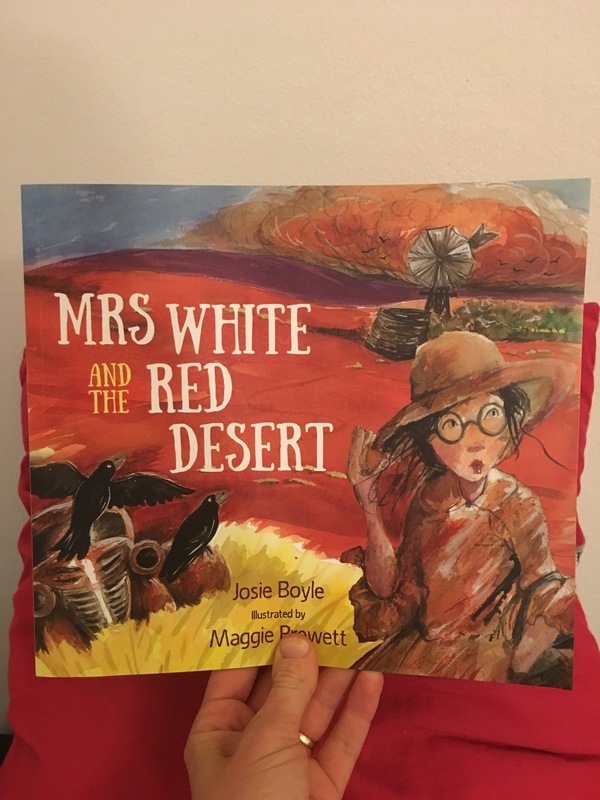 Mrs White and the Red Desert by Josie Boyle, illustrated by Maggie Prewett is a fascinating story about life in the desert for three children and the trouble with the red dust that blows in and over everything in it’s path! This group of desert children invite their school teacher, Mrs White, home for dinner to show her why they always bring in grubby homework. BUT – little do they know what mother nature has in store for them all! They live in a higgledy-piggledy house with a higgledy -piggledy garden but they play outside, tell stories in the sand, have vivid imaginations and love learning. Maggie Prewett’s illustrations highlight the spareness of the desert and dominance of the red sand after a sand storm! It reminded me of the many times I have spent in the desert and the fact that even months after returning home, I still found that red dust in pockets of clothes and gaps in the car seals! I loved reading this story to my children and to classes at my school during library lessons as I was able to tell them about the desert and the amazing landscape we have in Australia. We were able to discuss how theses people live near waterways and if they don’t – water needs to be trucked in – a very foreign concept to city based children. When we read books to children we open their minds to how other children live and therefore increase empathy and awareness of the world around them. So what can you do with this story at home or in the classroom? Look at a map of Australia and see where remote communities live. How do these people live in these areas? How did the children in this story pass on stories and learn? Have you ever told a story without writing it down? Try and tell a story or two using only spoken word and perhaps a drawing or two as you talk. How did they use their imagination when they heard unusual sounds? Close your eyes and listen to the outside world – imagine what those different sounds could be. Explore personification throughout this story. How does making the objects alive add to the story? Create your own personification sentences. Explore traditional desert farming techniques. One of the things I love about picture books is that they can bring real life stories to young readers all around the world through pictures and simple words. Rhino in the House by Daniel Kirk is an empowering story about a women named Anna Merz and her lifelong dedication to saving endangered animals in Africa. Anna had always been involved in wildlife conservation and it was when she retired and moved to Kenya that her journey into saving Rhinoceroses began. The relationship between a baby rhino named Samia and Anna is at the heart of this conservation story. We learn how their relationship develops over time and how her story has inspired many to pursue careers and action in the area of wildlife conservation. Children will adore this book as the images are colourful and the story is sweet and entertaining. There is little mention of the dangers from poachers which is lovely and allows the children to enjoy this story without fear. We did discuss who poachers are at the start of the story but were then able to focus more on the wonderful work Anna did in her sanctuary. Rhino in the House is one of those picture books which stays with you long after it has been read and with historical facts at the end of the story it allows the adult reader learn more about Anna and her rhinos. Why do we need to take care of all animals in our world? Which animals are endangered in your country? Why are they endangered and can this be changed? Why are books like this important? How do picture books give all readers this important message? How do they make us read and learn when compared to wordy articles? How can animals be protected when humans don’t want to change? Investigate an endangered animal that is effected by human action – write a letter or create a campaign that will change minds and attitudes. – Identify the true story in each book. – Identify the human actions involved – positive and negative. – Identify the impacts on the world if this animal/s was to become extinct. – Compare and contrast the 4 picture books and decide which one makes more of an impact on you. – What does sustainability mean in regards to these stories? – Teach another group of students about your story or of another animal that is endangered. Think of an interesting way that grabs their attention so they listen and learn. OI.6 The sustainability of ecological, social and economic systems is achieved through informed individual and community action that values local and global equity and fairness across generations into the future. Making a difference in Australia. There is still low education achievement outcomes for Indigenous children in Australia. Indigenous children deserve to learn how to read and write as much as any one else does so that they can choose to move out of poverty cycles and educate the next generation. In many indigenous communities books are scarce and literacy levels are low. You may have heard in the media about the low literacy rates and perhaps wondered how you can make a difference? It is really important that we as an affluent nation look towards helping developing nations but we need to look at our own communities who at times are functioning at a developing nation level – which should not be happening. Through education, empowerment and support anyone can achieve anything. The Indigenous literacy foundation are an amazing group who raise money and work with indigenous communities. Through their programs they empower communities to learn how to read by giving them books and publishing books that have indigenous links. We are a national book industry charity, which aims to reduce the disadvantage experienced by children in remote Indigenous communities across Australia, by lifting literacy levels and instilling a lifelong love of reading. During the month of May my intention is to help parents and teachers build awareness of how we can act more sustainability and how education in this area can be part of their daily routine. The world we live in now needs more people to start reflecting on how we are living and how that living is effecting the way others live now and how are future generations are going to be able to live. Through picture books, small activities and short discussions we can all start to raise awareness in ourselves and our children. Have you ever read a book about our underground farmers? Do your children know why earthworms exist and how what we spray on our backyards can drastically effect their health? Try reading Yucky Worms to inspire your own backyard warrior! Have you ever stopped to look at the detail of a tree? Many children do have a short attention span but ask them to touch the tree and give you an adjective about how it feels, looks and smells like. You will be amazed! Inspire yourself and your child to appreciate trees and perhaps plant some extra in your own yard or during a community event such as Plant a Tree day. Try reading Last Tree in the city also – an inspiring read about the power of determination to make a difference. How about inspiring your child to be more sustainable in order to save an endangered species? Many adults and children are oblivious to the animals that we effect by the chemicals we pour down the drain, water we waste, plastic waste we throw out and land clearing for housing, farms and business. Try reading a story that inspires someone to tread a little more carefully. The Hairy Nosed Wombats Find a New Home is a very inspiring story as is Phasmid! Join me in May on instagram and Facebook as I learn how I can make my life more sustainable so someone else in the world has a better chance and so that my children live in a better world. The tomorrow book by Jackie French and Sue Degennaro. Written on a solar-powered computer and printed on recyclable paper The tomorrow book by Jackie French and Sue Degennaro is a story filled with hope for tomorrow. Many environmental books are filled with doom and gloom – as the media tells us that is where we are headed. BUT with imagination, creative thinking, problem solving and open minds, tomorrow can be a wonderful day where we harness the sun’s energy, we repair things instead of throwing them away, we each have our own veggie patch and wind power is just another form of easy to use energy. Jackie French is a marvellous story teller and through this book she ignites ownership of the world in children and a belief that they can all make a difference to the world they live in. Many of us are too caught up in what we are used to doing and find change so difficult but as we can see through this story that sometimes it is only the simplest of changes that makes a difference to our human world, the animals and natural habitats within in. Sue Degennaro’s illustrations are an energetic mixture of pastel and collage (using recycled materials of course!) and add so much more to the story being told. Degennaro’s illustrations really highlight the fact that tomorrow isn’t just about humans. Redesign your day: How would you get to work or school if you made one change? What would your meals look like? How can Easter be packaged better? Reflect on the waste over Easter and how you can make a change for next year. Re design an Easter egg package so it is better for tomorrow. Check out my long list of sustainability books. Check out this great program on Self-sufficiency in the suburbs! Tell Laura I sent you. How to the illustrations add more depth to the story? Does the use of recycled paper change how you see the story? Why aren’t more books printed this way? How does collage add a different dimension to this story – can it be used in all stories? Reading books to children is a great place to start igniting ideas to make changes in the world we live in. Start conversations and take responsibility together to make a difference in the world we live in. Books are so important in our children’s lives (and ours too) We need to embrace books as an essential part of our daily routine. Say Yes: A story of Friendship, fairness and a vote for hope. Jennifer Castles. Say Yes: A story of Friendship, fairness and a vote for hope is a perfect book which mixes both history and storytelling to tell us about the 1967 referendum. Say Yes, is told to us through the eyes of two best friends – one indigenous and the other white. We experience the heartaches, the unfairness, the loneliness and sadness that the indigenous people go through pre 1967 and then the joy – when finally the Australian law was changed to recognise Australia’s indigenous people as people of this land, who deserved to be treated the same as everyone else. Many children would have little idea about how Australian’s used to treat the Indigenous people of this land and this story tells it perfectly. Using a mix of Paul Seden’s illustrations and real newspaper clippings and photographs we are able to see what happened and the amazing people who were part of this change. This year, 2017, we celebrate the 50th anniversary of the 1967 referendum so make sure you share this important event and take the time to read through the notes and explanation on the law that was changes. What can you do at home or in the classroom? Are there any issues today that are still not fair? Do you think people’s attitudes are the same or different if compared to 1967? Compare how indigenous people would have been treated before and after this referendum. Write a letter to a local politician in the time of 1967 – explain to him or her why the law needs to be changed. Explore the use of the sentence: It’s just not fair. What isn’t fair and why is it repeated throughout the story? There is still low education achievement outcomes for Indigenous children in Australia. The indigenous children deserve to learn how to read and write as much as any one else does so that they can choose to move out of poverty cycles and educate the next generation.